Happy Birthday to Everybody's Talking About Jamie, who is celebrating one year at the Apollo Theatre today! The five-time Olivier nominee began previews at the West End venue on 6 November 2017 after a scintillating run at the Sheffield Crucible. 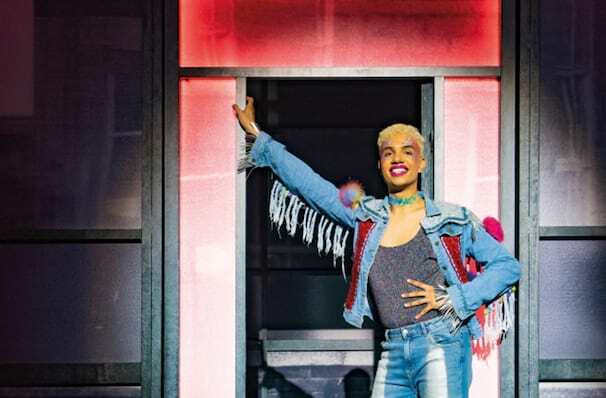 The production garnered five Olivier nominations in 2018 for Best New Musical, Best Choreography, Outstanding Achievement in Music, Best Actress in a Musical for Josie Walker and Best Actor in a Musical for current Jamie John McCrea. The musical currently stars RuPaul Drag Race judge Michelle Visage as Miss Hedge and is set to welcome a brand new Jamie in November, Layton Williams, who will take over from McCrea. What is Everybody's Talking About Jamie about? Growing up on a Sheffield Council Estate isn't plain sailing for teenage Jamie. Out of touch with his peers yet always ready with a comeback for his bullies, he's just not sure what the future holds. Supported by his wonderful mum and his tight-knit group of pals, he sets out to confront his fate head on and become the star he was always meant to be. Everybody's Talking About Jamie is currently playing at the Apollo Theatre. View our show pages for more information about Everybody's Talking About Jamie, Apollo Theatre.